As successful as the period drama has been, people are not hiring footmen, dressing for in black tie for dinner or going back to the ‘good old’ days. The success of the show is not changing lives. I must admit that I am a late adopter of the show. Whilst others were hooked from the very beginning, I have caught up on the craze through the DVD’s. I love the show, especially the drama that goes on downstairs. Perhaps we all wish that we were the privileged few who live upstairs, but in reality I would have been a lower middle class person living somewhere in town, never even seeing Downtown Abbey. But here is the thing, as much as I like the show, I haven’t hired a butler or starting wearing black tie for dinner or even setting the table. I admire the show but it is not my real life. The pomp and ceremony is attractive but I know that it is not real life. The same is true with the Church, I love the ceremonies and special occasions but the Good News of the Gospel is more than ceremony for me. If I have learnt anything about church ministry I know that people love special occasions but they desire for the Gospel to touch their ordinary life. 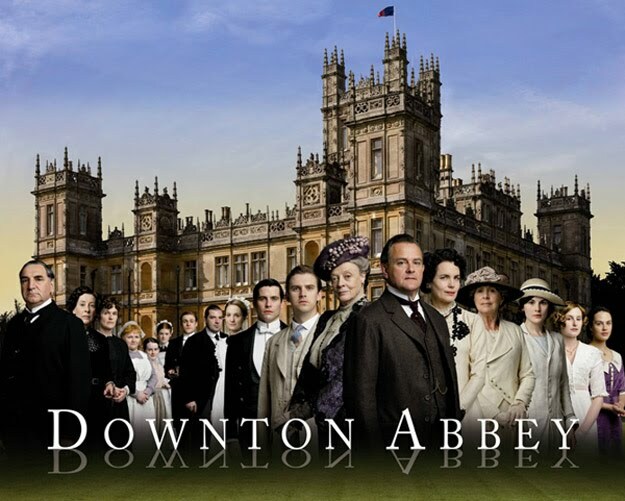 The parallel between Downtown Abbey and the Church is a long bow I admit. But if those of us in ministry think that a Period Drama which touches our longing for another era is a sign that people want to a return to a ceremonial church then we are mistaken. If anything it shows us how far things have come. We only have to look on the web to see that social networking and new media are present realities that the Church is facing. People must not long for a return to some golden era of the Church but look forward to how we can contextualise the Gospel in our post modern secular world. People will always love ceremony and special occasions in our churches just like some of us look forward to an hour or two of Edwardian life on our television sets. Whilst some might seek relief from our post modern world through the old fashion church rituals, the Gospel is meant to be our entire life, not a few hours of relief each week. We can’t continue to portray the Church as a world that no longer exists, the same way that the world of Downtown Abbey no longer exists. The challenge is to make our own real life part of God’s bigger drama. Oh dear, what would George Pell say about that one! Not sure, I just know that returning to the “good old days” is not bringing the results that some people had hoped.